This article by Alex Evans, Alice Lépissier and Owen Barder first appeared in The Guardian on 25 September 2015. It summarises this new CGD Policy Paper by the same authors. What if there were an affordable programme to prevent catastrophic climate change and provide the finance that developing countries need to end poverty by 2030? The Addis Ababa finance for development summit agreed on next to nothing to deliver the SDGs; tomorrow’s gathering in New York is unlikely to do much better. On climate, meanwhile, no one (including Christiana Figueres, the head of the UN Framework Convention on Climate Change) believes a 2C deal is in prospect. Our starting point is to recognise that we won’t stabilise the climate until we base global climate policy on a binding, global “emissions budget”, which covers all countries and declines over time to keep the world on course for warming of less than two degrees’ celsius. Since long before the Copenhagen summit in 2009, climate negotiators have fought shy of recognising the need to do this – based on the belief that it would be politically and economically impossible. We weren’t so sure. We built an economic model – “SkyShares” – to tell us what the cost implications of a safe global emissions budget would be for every country, in every year, for the next two centuries (the first time, as far as we know, that this work has been done). Although SkyShares will give you costings for any set of assumptions you wish to set, we chose some sensible starting points for our reference scenario. First, we assumed that permits would be shared out on the basis of equal per capita entitlements, with countries able to emit in proportion to their population (the “contraction and convergence” approach first proposed by the Global Commons Institute). Our reasoning here was that we couldn’t imagine how else to share out the most basic common property resource there is: the sky. Nor could we imagine most countries agreeing to anything other than equal shares. Second, we assumed that countries could use emissions trading. Recent experiments in this area, such as the EU emissions trading scheme or the clean development mechanism, have got a bad name, and rightly so given how full of loopholes they’ve been. We were pleasantly surprised by what SkyShares found, for two reasons. First, because it turns out to be far more affordable for high emitters than we dared hope: under our reference scenario, high-income countries would face net costs of just 0.56% of gross domestic product a year in 2025 and 1.45% in 2030. True, these costs are substantial. But we are, after all, talking about the price tag for the biggest economic transition since the industrial revolution, with numerous high emitting assets being retired early. What’s more, having a liquid global emissions trading market makes the transition cheaper for all countries – far more so than if they all met their emissions targets solely through decarbonisation at home. Economists across the board agree we need to put a price on carbon. 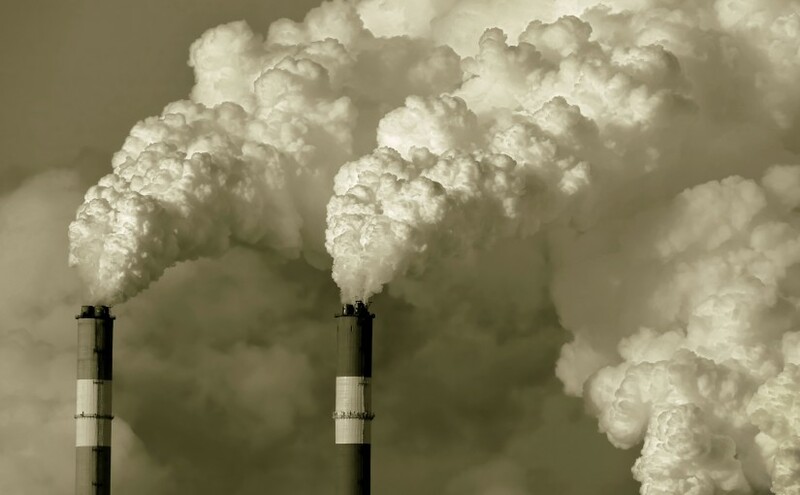 An emissions trading scheme that sits within a safe global emissions budget not only achieves that, but by design ensures that the world stabilises greenhouse gas concentrations in the air at a safe level. Our second key finding was that emissions trading becomes a new source of development finance. As soon as 2025, low- and lower-middle income countries could make $416bn (£273bn) a year from emissions trading – more than three times as much as total current aid spending. What’s more, these flows would have an inbuilt prioritisation towards least developed countries – the ones with least access to alternative sources of development finance like FDI, remittances, or tax revenue – for the simple reason that they are invariably the lowest per capita emitters and hence those who would have the most spare emission permits to sell. We take policymakers at their word when they say they want to end poverty by 2030 at the same time as stabilising the climate through an economic transformation of unprecedented scale and speed. It can be done, but only if we’re willing to think about truly big ideas. This is one of them. Alice Lépissier is a former research associate at the Center for Global Development, where she developed the SkyShares climate change tool for policymakers. For more information on this analysis, please see this CGD Policy Paper.